As a girl with the curse of skin prone to blemishes, cleansing and exfoliating well is particularly important for me. 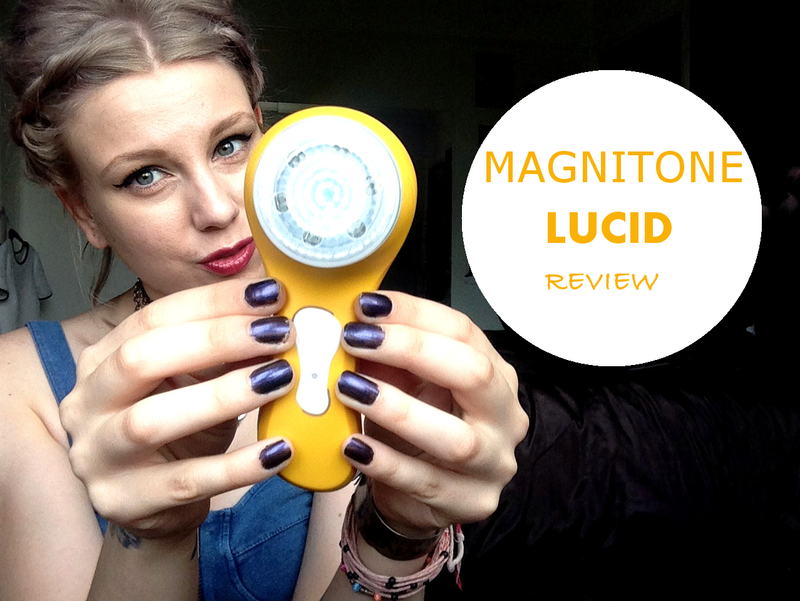 I'll admit, I little squeal of joy could probably have been heard from my bedroom when I first saw the email from Magnitone, asking me to try out and review their newest addition - the Lucid. I mean, I have always wanted to try out a cleansing brush! These are probably the funkiest little cleansing/exfoliation brushes I have seen before. They are part of the fashion series, meaning you have the choice of 4 pretty colours. I went for sunshine yellow, fittingly as it's summer! Magnitone claims that my little sunshine yellow will give my skin a deep clean, exfoliate and give it a 'new breathe of life'. It will remove my makeup, any impurities lodged deep into my pores as well as giving my skin a good exfoliation (especially good for any pesky dry patches!). Sensitive skin ladies, do not fear, the Lucid is also designed to be gentle enough for you - I hear its even gentler than using your hands! I have to say that this is a handy little device. Not only is it small enough for me to take on my travels, it comes with a wireless travel charger (which is magnetic might I add - how amazing is that?!). There are also two modes that you can choose from, the second being being suitable for if your skin is on the sensitive side. However, my favourite feature has to be the fact that it is completely and utterly waterproof. I can take it into the shower with me. That is what I want. I won't go into too much detail on this area, as if you do decide to purchase one of your own, the instructions will give you the low-down. Basically, you squeeze out a splodge of your facewash/cleanser onto the brush, turn it on, and sweep it over your face for 1 minute. You sweep across each zone (forehead, cheeks, chin/nose) for 20 seconds each, and this is easy enough to time as the Lucid will give you a little beep when you need to move onto the next zone. I've been using the Lucid for two weeks now, every other day. There have been changes in my skin. Good changes. Apart from a small breakout I've had on my right jawline (which I'm pretty sure has been a result of recently surfing the crimson wave - anyone who has seen Clueless will understand that quote), the rest of my skin is completely clear, which is quite usual for me. As a Psychology student, I've had it drilled into me that just because one thing happens after another, it doesn't mean the the first thing is the cause of it. I hope that makes sense. Although, I think that it's pretty safe to say that the Lucid has had something to do with my clear skin. Not only have I seen results, I've really enjoyed using the Lucid, and I generally look forward to cleansing my skin with it. It has been made so easy to use, and genuinely does feel super gentle on your skin. One thing I enjoy after using an exfoliator, is the super soft skin feeling afterwards, but the Lucid doesn't actually make my skin feel that much softer after use. At first I was disappointed with this, but then I realized it is probably because it is so gentle with my skin, so I shouldn't really complain, should I? Will I carry on using the Lucid? 100% I will! Disclaimer: This product was gifted to me, however all opinions within this review are completely honest and my own. Great review. I've debated trying one out but have always been worried because my skin is sensitive but if it works well on sensitive skin I may give it a go. Also, love the yellow :) perfect for the sunnier weather as you said. Great review the product looks so good and I definitely want to try it out!! If I was more dedicated to my skincare, this is definitely the kind of thing I'd love to purchase! The color range also makes it more appealing as I'm a sucker for cute colored appliances. i really want to try this too! Great review on this product. I love how not only is it good on the skincare side, but it doesn't look absolutely boring either. The yellow really pops out for me and it's something I'd actually look forward to using. Great review! Love how colorful it is! Makes it more fun to use I suppose! Awesome review...I think this a good option, and also it's nice to see that there are other brands besides clarisonic whom make this type of products! Great review! I think it's great that other brands create a different but kind of the same product as the clarisonic, which is a little bit pricey! Great option! Looks scary but a very great product! Great review…I have been thinking of purchasing one of these exfoliating brushes. This one looks quite nifty!! You're really lucky that you had this given to you :) It looks really great, love the yellow colour. I need to get back into using it because it really did wonders for my skin! 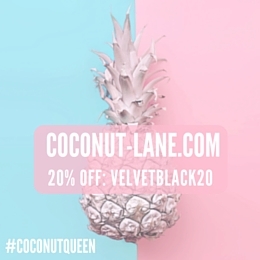 Great post, thanks for sharing - ooh cool looking product!! great review, love the color you got it in. I have clarisonic and I love it! I enjoyed reading this, I've always wondered what those are like! This looks so interesting. I've never tried a cleansing brush before! This looks great, I want to try it out.